I am a Swedish silver smith and photographer specialising in pet portraits, natural themes and simplistic scandinavian jewellery. Please have a look through the gallery to see some examples of my work. At the moment the main body of this page is in Swedish, if you would like any information in English please do not hesitate to ask. and thank you for the interest and question. 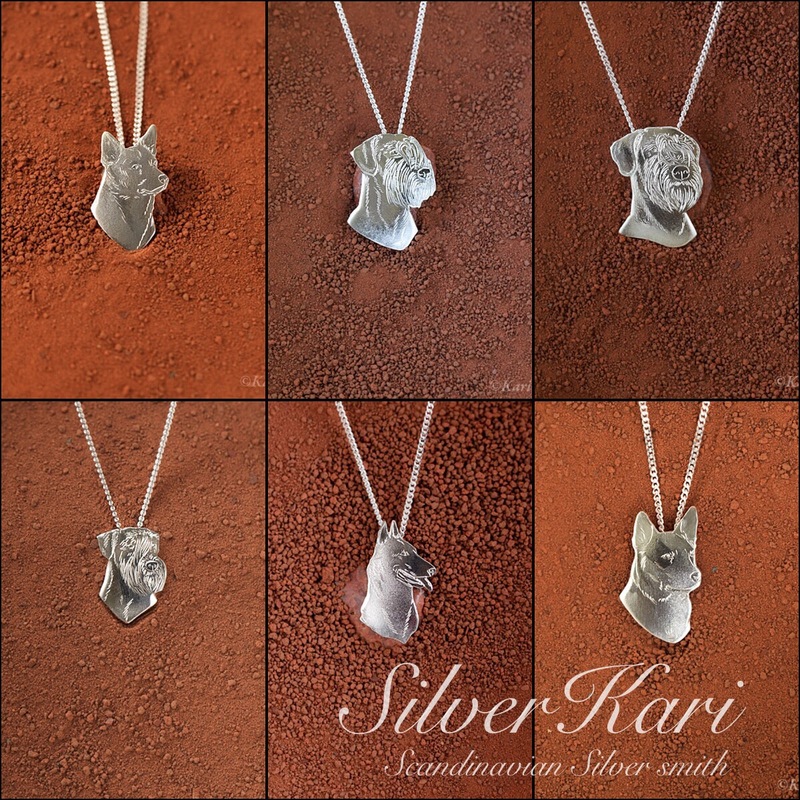 Welcome to visit my webshop http://www.silverkari.etsy.com. There you can find more information, costs and shipping policy. Looking for a Highland west terrier items. Also the prices. Hi Cindy and thank you for intrerset and question. Please welcome to send me an email at kontakt@silverkari.se if you have further questions. im in the U.S. and would like to purchase the Australian Kelpie pendant. how much would it be in US dollars? Canadian, how much for the lovely Belgian collection, in Canadian dollars? Looks beautiful. I’m waiting for know how pay you for your beautiful jewel!!!!!! I´ve just sent you an email. Yes, I send to New Zeeland. I will send you an email with more information. Love your barefoot stuff. Have you got prices? Thank you Vanessa for kind words! The necklace costs SEK 750:- plus shipping inside EU. You´ve got a PM at Facebook from me. I do not have it yet, but when interest and demand becomes large enough I like to take up the Irish Wolfhound. there are no Hungarian Puli in my silver pack. I would love to do them if there would be interest for the breed.